As you might already know, Amelia 1.5 is now live! But what does that mean for you, we will explain here. We strive to make Amelia more and more helpful for all the business owners and end-users with every single feature that we add and a bug that we fix. We want to answer the needs that Amelia’s users might have. We keep monitoring Amelia’s features wishlist carefully, and recently another set of the most wanted features was released. Now it is possible to sort services on the Service page and reorder them the way you need them to appear on the front end, the way you want your users to see them. It doesn’t strictly have to be in alphabetical order anymore; now you can put the service you want to promote first for example! What is even more impressive, you can do it by just dragging and dropping it in the right position – easy like Sunday morning! In the Sort Service dropdown you have four main options: “Name Ascending”, “Name Descending”, “Price Ascending”, and “Price Descending”; but you also have “Custom” as an option, it will be automatically chosen if you manually move any service on the list with drag and drop function. #2 Feature: Email address doesn’t have to be mandatory! A lot of businesses that use Amelia to take care of the booking process didn’t want to collect the email addresses of their customers, and it is something that we just made possible. 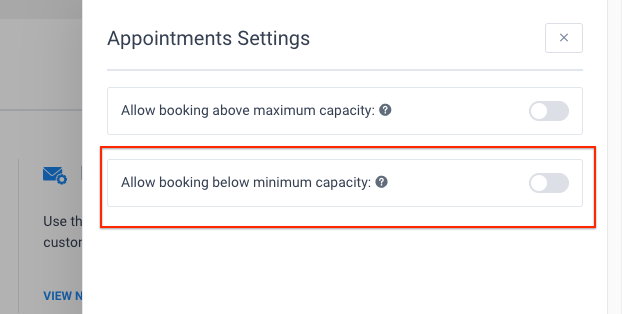 Now your booking form can become even more straightforward and quick to fill: disable “email is mandatory” option on the General Settings page, and your customers will be able to finish the booking process without entering any email address. Voilà! Many business owners would like to be in the loop, and know which appointments are being booked at their website “on the go”. This new option allows you to define one additional email address that will receive all notifications that you have enabled on the Notification page. If you, as an owner, prefer to receive all the email notifications about the appointments, enter your email address in the Notifications settings page, and you will receive copies of all the email notifications sent to your employees and customers. Do you have some services that require a certain minimum amount of attendees to be performed? It is not comfortable if you need to call someone and let them know that the appointment they booked won’t happen. That kind of thing happened to all of us at least once. For example, you are organizing a group therapy and unless there is a minimum of 4 people attending it won’t make sense. Now, you can configure Amelia to automatically prevent customers from scheduling appointments for certain services if the number of people in their group doesn’t meet the minimum capacity requirement – this is just one more thing Amelia will handle for you and help you avoid an unpleasant situation, isn’t that excellent? If, on the other hand, you do allow booking appointments even if the minimum capacity is not reached – it is possible as well. Customers will not see other attendees by default in Google calendar events, but if you want them to be seen from other’s customers’ calendars, you can quickly turn this option on, so customers know who the guys they will be attending the appointment with are. To support all of you speaking and writing Arabic, Hebrew, Persian, Urdu, and other languages that use RTL (right-to-left) writing, RTL feature is added! Added 1 and 2 minutes time slots in Time Slot Step option, more options – more fun! Additionally, you will have an even better and modern Dashboard, all your important metrics will be just in front of your eyes. Amelia Dashboard is redesigned to look nice, but more importantly to be more useful to you and your employees. With new charts and tables, you can better follow your appointments, employees, and services. Fixed issue with sending notifications when customer schedules through the Search booking form. Fixed issue with time zone option and appointment time placeholders in the notifications. Fixed issue with the total price when the appointment with extras is added from the back-end. Fixed issue with status translation on the Customer’s back-end. To track how Amelia is becoming smarter and smarter by time, or to find the feature you need, don’t forget to check: Changelog. 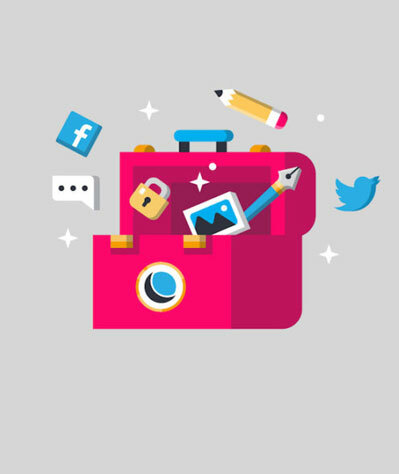 With new functionalities added, Amelia is becoming one of the best assistants you can ever higher, and that your customers love.